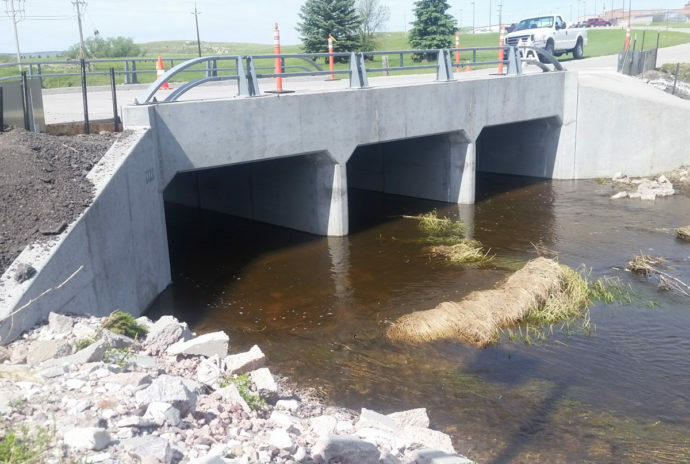 WLC contracted with the Wyoming Department of Corrections (WDOC) in 2012 to provide design services to remove and replace a concrete parking lot, concrete access roads, and improve the Niobrara River Crossing structure. Upon completion of the design, the project was put on hold until funding was secured. 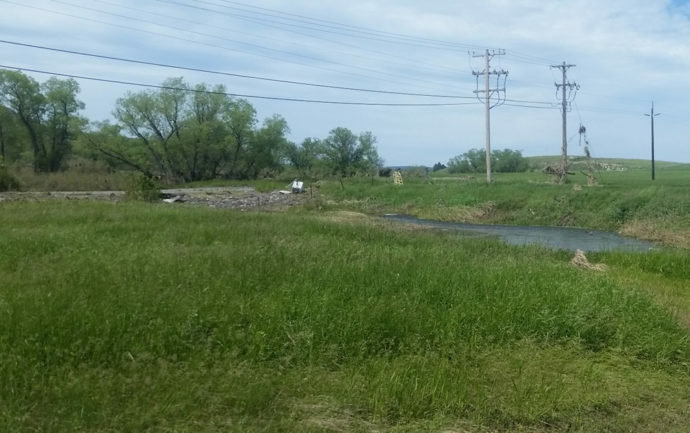 In June of 2015, a massive rain storm caused severe flooding in the Niobrara River Drainage. The Lusk area experienced damaged homes and businesses, a highway bridge collapsed over a railroad crossing, and the Niobrara River crossing structure, which provides access to the Wyoming Women’s Center, was severally damaged. The crossing structure consists of a triple barrel 5’x10’ RC box culvert. The culvert has concrete wing walls on the upstream and downstream sides. The concrete pavement approaches were severally undermined on the downstream side due to water overtopping the structure. Vertical cuts were evident on the downstream side of the approaches and the concrete pavement was undermined. WLC visited the site to assess the damage. We were directed to separate the bridge rehabilitation of the previously designed project and get it ready for bidding immediately. Two weeks later, the plans and contract were revised and the project was advertised. 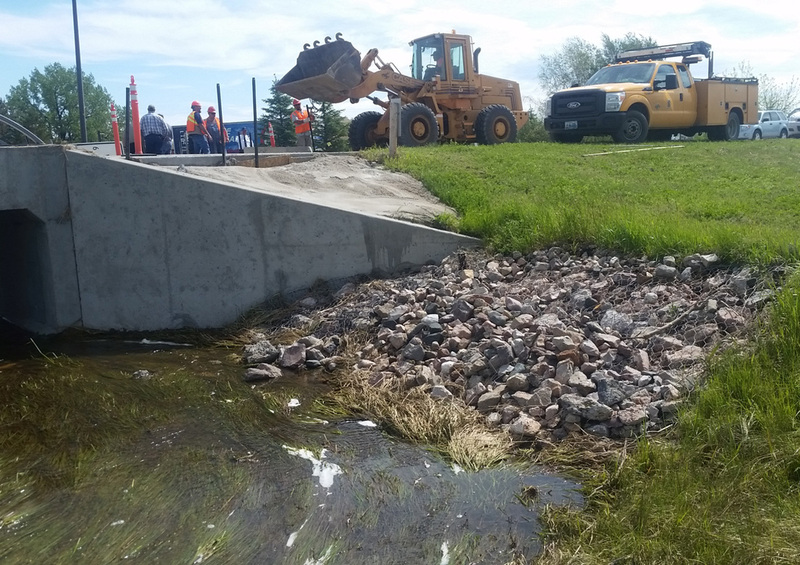 The project consisted of removal and replacement of the existing concrete pavement, excavation and rebuilding of the abutments, installation of approach guard rails, and extensive riprap armoring of the downstream sides of the approaches. The remainder of the project, scheduled for 2017, includes replacement of a concrete parking lot and access roadways.